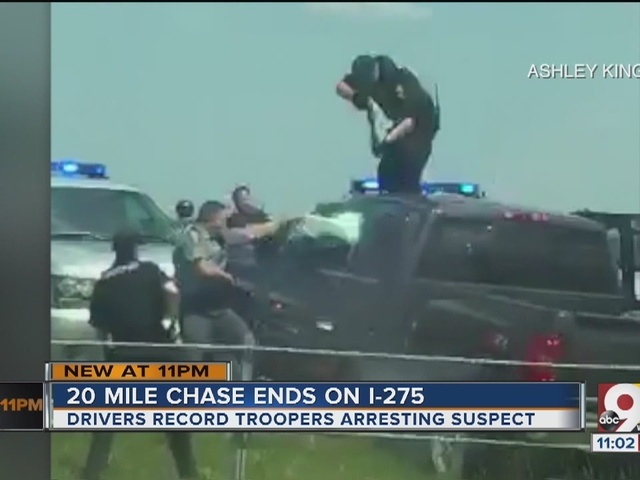 FOREST PARK, Ohio -- Troopers arrested a man on kidnapping, assault and other charges May 19 after he led troopers on a high-speed chase that spanned multiple counties and resulted in a crash on Interstate 275, according to the Ohio State Highway Patrol. A judge in Warren County set bond at $760,000 Tuesday morning and scheduled a preliminary hearing for 3 p.m. Thursday at the Warren County Municipal Court. Lt. M.A. 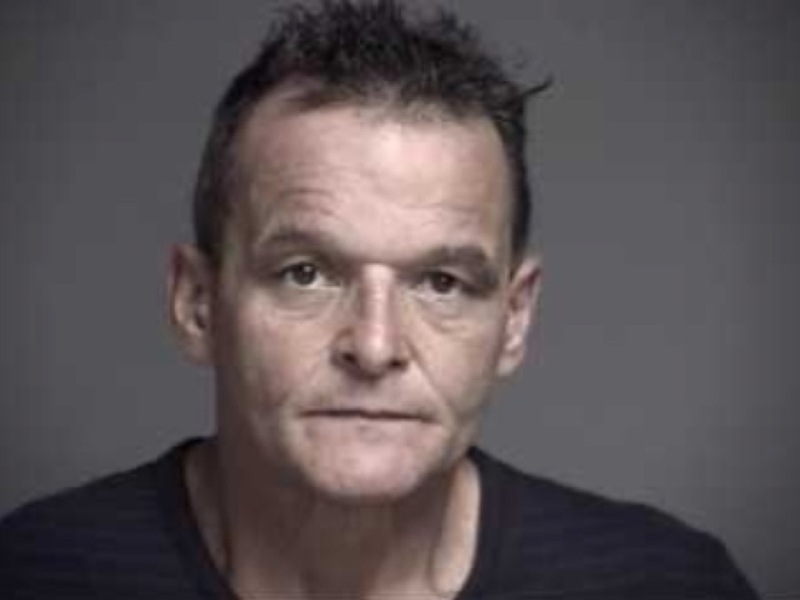 Gooding said a trooper stopped Thomas Gorman, 54, of Lakeland, Florida, while traveling southbound on Interstate 71 near Ohio 48 in Warren County. Gorman was reported to be driving recklessly. "He was probably doing 80 or 90," witness Scott Schlotterbeck said. "Then, when he would approach the cars, he would do a quick maneuver. A lot of times, it looked like he was going to lose control and stuff was flying up, but he would regain and take off again." Schlotterbeck said it took a trooper "about 10 minutes" to catch up with Gorman, near The Beach Waterpark. When the trooper approached the vehicle, Gorman's passenger -- Barbara McCain, 51, of Tiltonsville, Ohio -- indicated to the trooper she needed help, Gooding said. At that point, Gooding said, Gorman sped away, dragging the trooper for a short distance. "I’m watching them in the mirror, and the truck proceeds to take off," Schlotterbeck said. 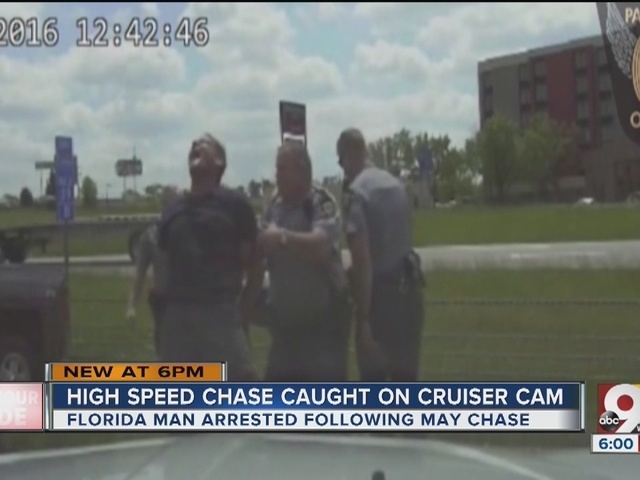 "And the officer kind of jogs backwards a little bit, jumps in his cruiser, but hesitates. At that point, we decide we’ll just follow the guy, and that's what we did." The trooper, later joined by several other units, pursued Gorman southbound on I-71, then westbound on I-275. Schlotterbeck estimated there were about 20 troopers involved in the chase. "He seemed like he had a death wish the way he was driving, where he just didn’t care what happened," Schlotterbeck said. "You know, once or twice, maybe, and then you realize and come to your senses -- but no, he just kept on going and going." He said Springdale police threw out stop sticks near Ohio Route 4; Gorman lost control of the vehicle near Winton Road in Forest Park, Gooding said. Troopers boxed in the vehicle and were able to take Gorman into custody after a brief struggle. "One cop’s standing on top of the guy’s truck, beating in the windshield," Schlotterbeck's wife, Crystal, said. "And finally the girl comes out of the car handcuffed. Then she gets put in the back of a car. She’s yelling, ‘I was taken, I was taken,' and we really didn’t see too much of the guy." McCain suffered minor injuries from being assaulted by Gorman, Gooding said. Some troopers sustained minor injuries while apprehending Gorman. Gorman was charged with kidnapping, felonious assault, simple assault, fleeing and eluding, and reckless operation. He's scheduled for an arraignment hearing in Warren County on May 24. McCain was reunited with family members.